It probably says something about the nature of the genre that cyberpunk can be such a beautiful mess and still remain so compelling. In the right hands, the politically-charged tropes involved easily lend themselves to progressive ends. However, just as often, these same ideals can be misread and warped to a regressive bent. Creatives playing with the cyberpunk genre often nail the first half of the contraction but flub the second - and it always, always, always shows in the final results. Cyberpunk is hard to get right. But it’s like pizza, right? Even when it’s bad, it can still be pretty good. 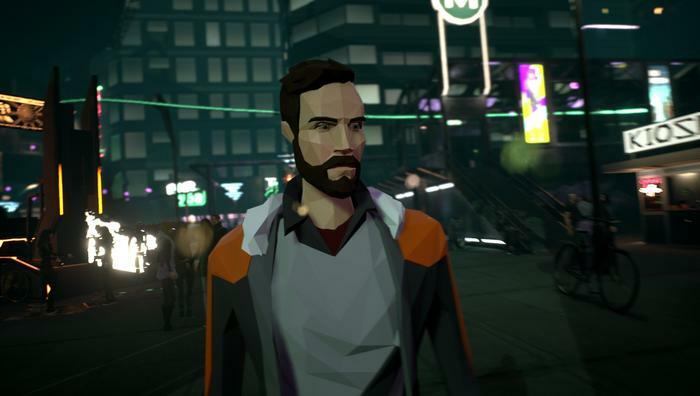 Daedalic Entertainment’s State of Mind walks the line between good and bad cyberpunk. Though it gets plenty right, there’s an absence of bite and integrity which drains the narrative of any potential punch. And when you have a game like this, which goes so all-in on its story and its specific genre, those don't just feel like shortcomings. They feel like mortal sins. 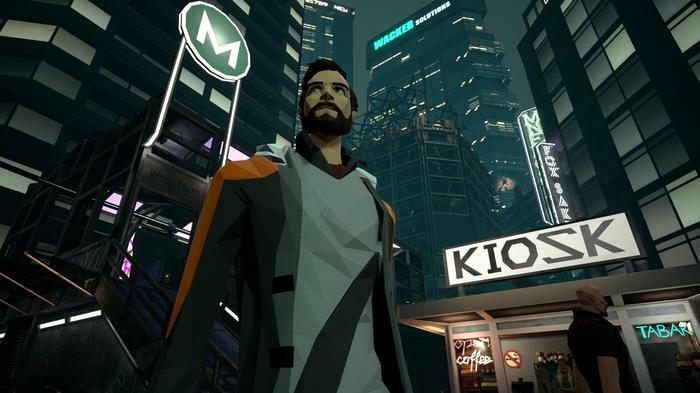 A modern adventure game set in 2048, State of Mind sees you take control of technology journalist Richard Nolan. Nolan wakes up in hospital after a car crash to find that his wife and child have mysteriously vanished. His attempts to put the pieces back together quickly lead him to discover that all is not as it seems and that a greater conspiracy is afoot in the game’s futurist take on Berlin. As a story, State of Mind is ambitious. However, as a game, it plays thing safe. Perhaps too much so. 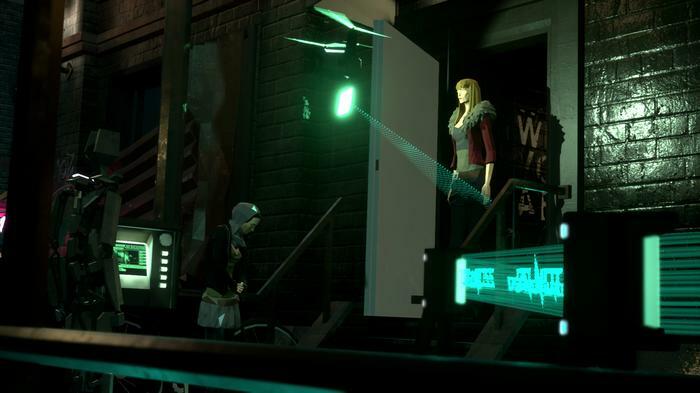 Like something from the Quantic Dream or Telltale Games catalogue, things play out as a sort-of interactive film. And not even one where the acting is particularly good. You’ll investigate an environment, navigate a few dialogue trees and then maybe jump into the shoes of one of the game’s other playable characters for a scene or two before bouncing back to Richard’s story. Rinse and repeat for seven to nine hours. There’s some light puzzle solving here and a ton of backtracking through the same 2-3 sets of environments. But, for the most part, State of Mind’s story mode opts for the path of least resistance: just feed you the core story, scene by scene. Still, the whole thing is brought to life by a genuinely evocative polygonal art style and a groovy soundtrack. 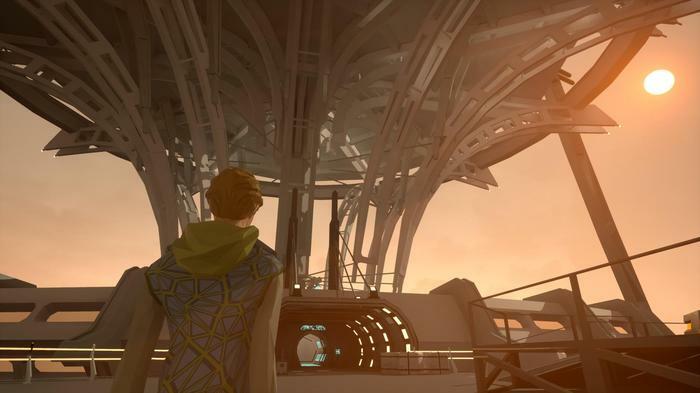 State of Mind’s characters look good but it’s the futuristic households and environments in the game that really pop - particularly the utopian skylines of City5. Everything looks about as detailed as you’d want it to, and there are plenty of references to other cyberpunk sagas for those who care to look for them. If you’re a fan of futuristic thrillers like Blade Runner 2049 or Netflix’s recent adaptation of Altered Carbon,you’ll probably like what’s on the menu here. The main narrative in State of Mind deals with transhumanism, cybernetics and the increasingly-blurred lines between the digital and the real world. And to its credit, this narrative really tries to lean into the cerebral and ideological debates that drive many classic science fiction stories. Unfortunately, for as many of those familiar and resonant notes it hits, State of Mind also falls afoul of plenty of pitfalls. For one, the movement controls in the game are outright abysmal. There’s also a general blandness and lack of diversity to the cast here which stains their dialogue and characteristics with predictability. In addition, the pacing - particularly towards the end - becomes tediously slow. In fact, it almost loses dramatic momentum entirely at times. It feels like the game is building towards some-sort of vague but major payoff for so long that when it does arrive it’s almost-dead on arrival. Taken as a whole, State of Mind as comes across as diminished by the story’s decision to not go all-in on its trans-humanist premise. One of the key themes the game tries to explore is that artificial or synthetic life might have value beyond or that which transcends its relationship to humanity. However, as the game moves into its second act and beyond, this concern feels like it drops out of view entirely. Despite everything the premise does to push in that particular direction, State of Mind ultimately falls back on the assumption that artificial life just isn’t as important or valid as natural life. This might sound like nitpicking. It is. But, as someone was genuinely interested in the story that State of Mind initially seemed to be trying to tell, I felt that it only offered profoundly dissatisfying solutions when push came to shove. Of course, for some, that’s not going to be all that much of an issue. After all, cyberpunk is like pizza. Even when it’s kinda stale or cold, it’s still pretty good and in radical short supply these days. I just wish State of Mind didn’t end up settling for being just more of the same, when it could have leveraged its strengths to take things further than that. Presented with the wide canvas of the cyberpunk genre and the brush of modern video game, Daedalic have opted for the familiar rather than the transgressive. There’s plenty of cyber here but little punk. 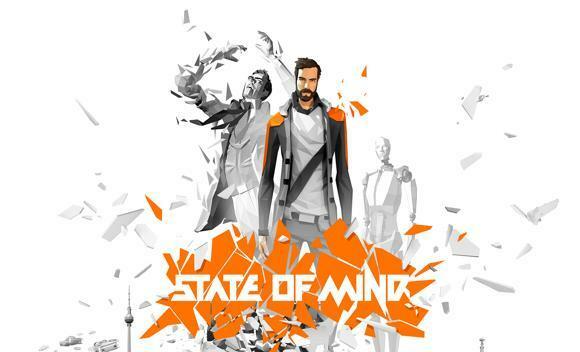 State of Mind is available on PC, Mac, Playstation 4, Xbox One and Nintendo Switch.